One year ago this blog began. It’s been quite a journey. From recipes to family activities, you guys have followed along. I am sorry to write that I will no longer be continuing to post in the future. Ha! Did I fool you? Sorry about that, but I had to make sure you were actually reading this and to let you know that in order to make this fun for all please tell your friends, family and co-workers about these posts. I need more followers, more comments and feedback in order to keep improving. If you haven’t already, sign up to follow my blog via email. It will ensure that you never miss a post. Thank you for the support. I truly appreciate it. Okay, so I’m trying to incorporate more leafy greens and veggies for the family and when the 5:00 frazzles hit our household last night I decided to whip up a basic and extremely versatile vinaigrette to toss with some salad greens that are about to get slimy if they continue to sit in the fridge for even one more day. 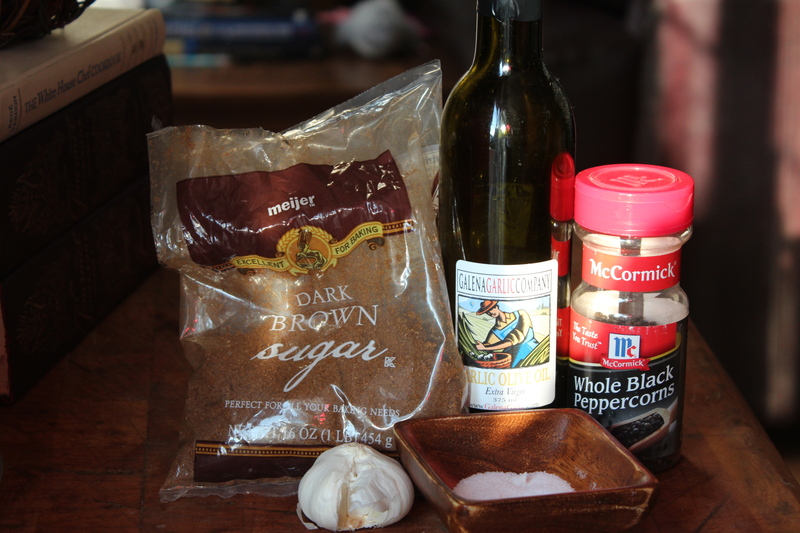 I used Galena Garlic Company aged balsamic vinegar in this recipe. Since there are very few ingredients it is important to use the best quality for the balsamic and olive oil. 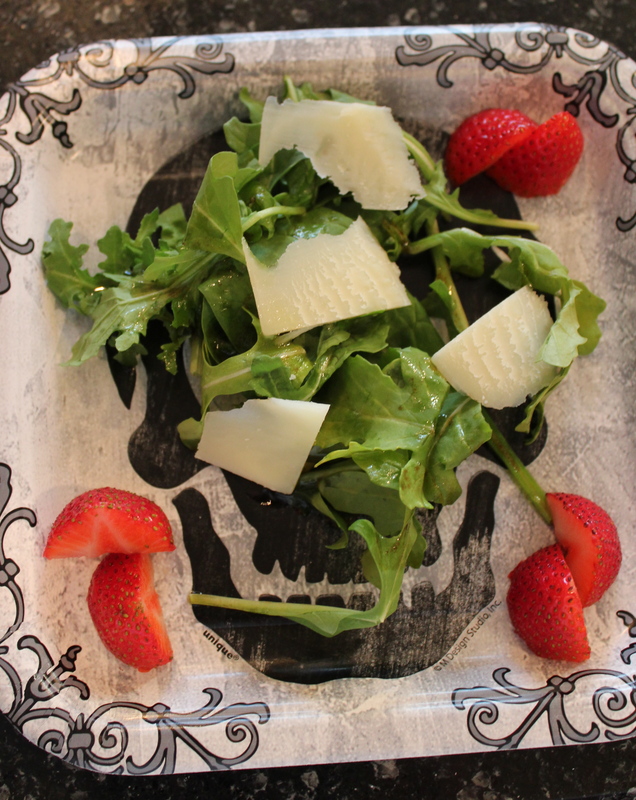 Doing this, makes the flavors pop and turns any basic, boring salad into a masterpiece. One lucky winner will receive a bottle of this dark, tangy, sweet balsamic vinegar when you add a comment indicating your favorite blog post from Home Is Where The Haggis Is. This balsamic is aged 18 years and the owner brings loads of it over from Modena Italy. In the store, you can sample the vinegars and olive oils straight from a small, plastic cup and man are they are smooth! 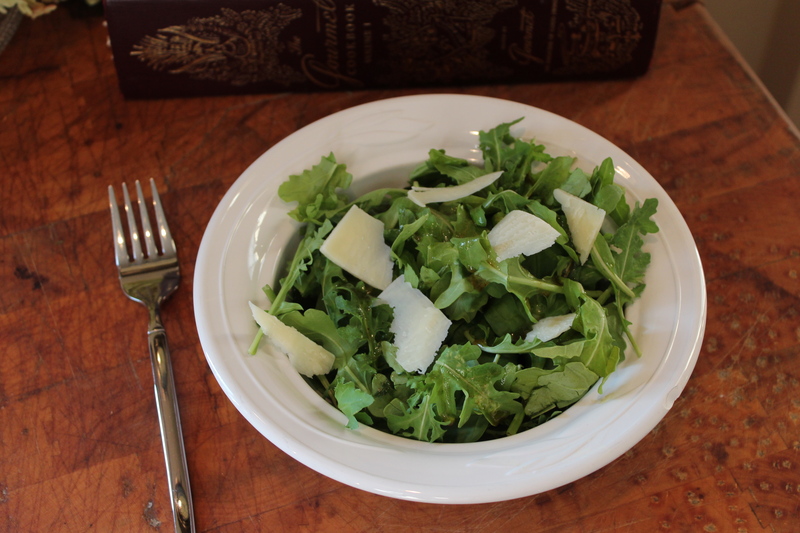 Combine all ingredients minus the salad greens in a medium-sized bowl using a whisk. 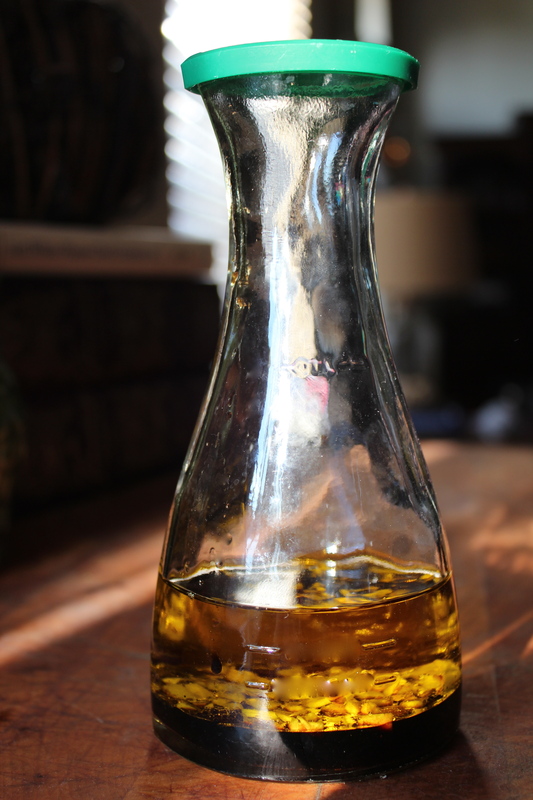 (Or cheat and use an old vinaigrette container to shake it all up) Toss salad dressing with greens just before serving. Here’s my attempt to please the younger taste buds around here. I have to be honest (I swear this blog is like my confessional) they didn’t go for it. They just ate the fruit around it and picked at the shavings of Parmesan. Oh well, more for me! I really enjoyed your bra blog. Reason being as with all your blogs “it’s all about us” which as all of us women know we do not have enough me time. I look forward to reading what you have posted and it just makes me stop and smell the roses. Thank you you’re awesome! Loved “Preserving Summer” for a newbie canner like myself, and “Uplifting” was a great reminder of what to look for in a good bra, and thank you note etiquette, … I Better stop, can’t choose just one I guess! Congrats on your one year, Girl!! Lisa, congratulations on your 1 year anniversary!!! I am so excited for you! As I and others have told you several times, we look forward to getting your blog posts. You have such a great writing voice that is interesting, relatable and fun. I have several posts that I have really enjoyed: apple cupcakes (of course), the post about that really great designer with the beautiful dresses, favorite 80’s movies, but the homemade pasta post is probably still my favorite. Shocking that I would pick a food post, right? I needed the article on bras’, finally found the right ones at Nordstoms!